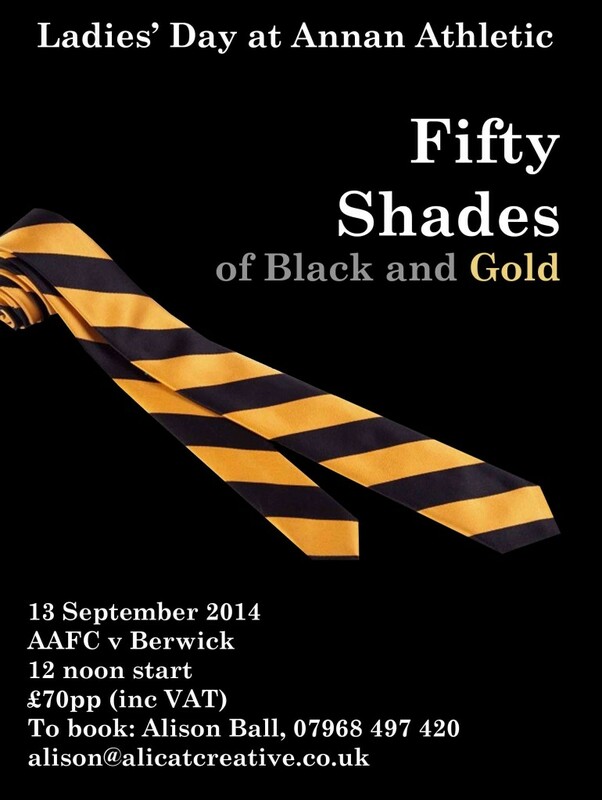 Annan Athletic Football Club looks forward to welcoming an enthusiastic crowd to their ever popular Ladies’ Day – 50 Shades of Black and Gold. With a host of fun activities, sparkling lunch and dapper footballers, it promises to be a great day out, no matter what the score. Taking place on the 13th of September when Annan Athletic FC play Berwick Rangers, ladies are encouraged to get their glad rags on as there will be prizes for best dressed and the person who best embodies their black and gold theme. Starting off at the Queensberry Hotel, there will be a three course meal with wine, then a courtesy bus to the ground for a cocktail before guests are welcomed to their priority seating area with the Directors. With half time hospitality, and drinks after the game, this will be a fabulous day out to remember. There will be plenty of opportunities to get photographs with the players after the game and to meet the manager. “I am delighted we are holding a Ladies Day again, as it has been so popular in the past. At the last Ladies Day at Galabank, held in a marquee, our special guest was Campbell Ogilvie, president of the Scottish FA. To his credit he came out of the marquee unscathed! This year we are delighted to be holding the lunch at the Queensberry as they are great supporters of the Club.